Promoted back to the top flight of Austrian football, Wacker Innsbruck claim to be the ‘spiritual continuation’ of now-defunct clubs like Tirol Innsbruck, Swarovski Tirol and Wacker Innsbruck, but have no real legal claim to their predecessor’s titles, of which there were many. Only Rapid Wien, Austria Wien and Red Bull Salzburg have won more titles than the Innsbruck sides over the years, and they did threaten a dynasty at one point, winning three titles in a row between 2000 and 2002 before collapsing. Becoming the leading force in Austria again would be the challenge here, and it’s a real test as they’re pretty terrible and have a tiny budget. The team of Belgium’s largest municipality, Royal Antwerp haven’t given fans much to shout about of late, and are more well-known in England for their previous ties to Manchester United. (Remember Dong Fangzhou?) With no top flight title since 1957, there is real scope to make the 1993 UEFA Cup Winners’ Cup winners a force in Belgium, especially with a top-half budget in the Jupiler Pro League and some players with potential in Dylan Batubinsika, Aurelio Buta, Egor Nazaryna, Jonathan Bolingi and Ivo Rodrigues, as well as proven quality like Sinan Bolat, Daniel Opare, Faris Haroun, Lior Rafaelov, Jelle van Damme and Dieumerci Mbokani. Odense have been runners-up in Denmark four times in the Danish Superliga era, and have no title since 1989 as the likes of Midtjylland and Nordsjaelland have overtaken them. They struggled last season, finishing 10th, they have very little to spend and don’t even have many high potential players to build around on FIFA, so get ready for a real slog if you really want to bring success to a regular bridesmaid in Danish football. Newcastle United would be a strong shout here, but it’s impossible to ignore the Jorge Mendes project at Molineux. Wolves won the Championship title last season and have already shown signs of being a Premier League force, and it’s no wonder given their talent. If you pick them on FIFA, you are handed proven players like Rui Patricio and Joao Moutinho, as well as a raft of young players with huge potential in Ruben Neves, Diogo Jota, Adama Traore Leander Dendoncker, Morgan Gibbs-White and Ruben Vinagre. No signing seems off limits with Mendes pulling the strings, and making them a real force on FIFA should be hugely appealing. The real sleeping giant of English football, Leeds still haven’t been back to the Premier League since their 2004 relegation. This term, Marcelo Bielsa has brought real hope back to Elland Road, and you would be presented with the squad to achieve promotion in your first season on FIFA. Pontus Jansson, Barry Douglas and Samu Saiz are some of the best in the Championship, there are a clutch of players with decent potentials, and the prospect of luring the likes of Danny Rose, Fabian Delph, James Milner, Lewis Cook and Aaron Lennon back to the club provides additional nostalgia to playing as one of the most historic clubs in England. Three years before Leeds were relegated, Coventry City dropped out of the Premier League after 34 years in the top flight. They have yet to return. Financial woes have dented the Sky Blues over the years, and they have only just been promoted back up to the third tier of English football, still some way off their days in the Premier League. Taking over them on FIFA with the goal of returning to the top flight presents a real challenge, but they do have a number of good young players like Jordan Shipley, Tom Bayliss and Jodi Jones, who can become Premier League-level talents with the right development. Somehow bringing back James Maddison and Callum Wilson would be hugely impressive too. It’s easy to forget, but Oldham Athletic played the first two Premier League seasons, and haven’t been within a sniff of that since. Now into the fourth tier for the first time since their Premier League stint, Oldham now feel a million miles away from the top flight. Any players with considerable potential are only on loan, and this would be a real long-term save to try and bring the Latics to challenge neighbours Manchester City and Manchester United. A return for James Tarkowski would be huge, as would signing Oldham-born Ben Pearson. It probably says a lot that, when searching Saint-Etienne, the band of the same name come back as the top hit on Google. The French football side were dominant in the 1960’s and 70’s, and by 1981 they had won 10 titles in 25 years, including a run of six titles in nine years during a remarkable run of success. Somehow though, they haven’t won a single top flight title since. Local rivals Lyon have eclipsed them despite only winning their first title in 2002, and are now closing in on Saint-Etienne’s joint-record of 10 titles. Re-assert Saint-Etienne’s dominance of French football and prevent the club from losing its title record in the midst of Paris Saint-Germain’s spending power, but they aren’t currently built for long-lasting success. Their top talents are all 27 or older, such as Neven Subotic, Mathieu Debuchy, Yann M’Vila, Remy Cabella and Wahbi Khazri, and you will have to work hard to build a new Saint-Etienne dynasty. Ligue 1 winners in 1998, Coupe de la Liga winners in 1999 and UEFA Cup semi-finalists in 2000, Lens had a boom period but have since slipped off. Financial woes have crippled Lens in recent years, and this would be a real return to glory story. You would be presented with young talents such as Modibo Sagnan, Jean Bellegarde and Jean-Kevin Duverne, but the beauty of playing as Lens would be to try and bring back all the young talents they have lost over the years; Raphael Varane, Serge Aurier, Geoffrey Kondogbia, Jean-Philippe Gbamin, Benjamin Bourigeaud, Wylan Cyprien and Thorgan Hazard are just a handful of players to have left Lens in recent years, and attempting to get the band back together could just fire Lens to glory again. The German capital has been starved of footballing success. Hertha haven’t won Germany’s top flight since 1931, and have never won the German Cup, meaning there is so much potential in the club who finished 10th in the Bundesliga last term. Their stadium is in the game, their budget isn’t completely terrible and you have more than enough to build around; Valentin Lazaro, Niklas Stark, Karim Rekik, Arne Meier, Davie Selke, Dennis Jastrzembski and Jordan Torunarigha all have potentials of over 80, and you should be able to mould Hertha into a team that Germany’s capital can really be proud of. One of the saddest moments of last season was seeing Hamburg suffer relegation at home, as their famous clock — ticking over as Hamburg boasted being the only club never to be relegated from the Bundesliga — finally met its end, with Hamburg finally sent packing to 2.Bundesliga after years to dramatically stave off relegation. A strong budget, their real stadium and a number of talented youngsters, such as Rick van Drongelen, Tatsuya Ito and 88-potential striker Jann-Fiete Arp, give you enough to build around, and replicating their incredible 1982–83 season of winning the Bundesliga and the European Cup has to be the goal here. Completely overshadowed by city rivals Bayern, 1860 Munich have endured a dismal time of late. 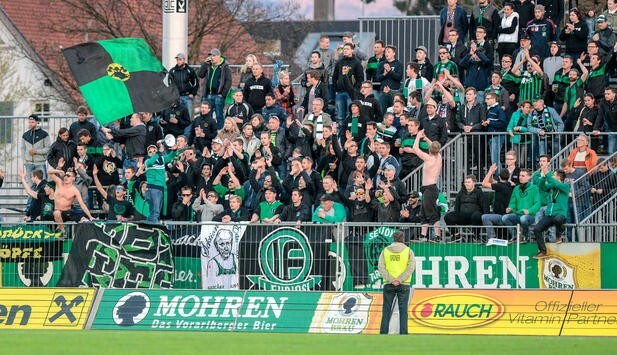 Not only have they not been in the Bundesliga since 2004, but their relegation from 2.Bundesliga in 2017 actually saw them drop into the fourth tier as investor Hassan Ismaik was unwilling to pay the fees to play in the third division. Relegation means 1860 no longer play at the Allianz Arena, and are now back at the ground they left in 2005, the Grunwalder Stadion. 1860’s squad is far from good having only just stepped up to the third tier, so be prepared for a long slog if you have dreams of building 1860 to challenge Bayern. I can’t imagine many people kick off Career Mode in Ireland, but here we are. Waterford United were a dominant force in Irish football during the 1960’s and early 70’s, winning six of eight top flight titles between 1966 and 1973…but they haven’t won it since. Now back in the top flight after winning promotion last season, bringing them back to glory with impressive striker Ismahil Akinade appears to be the best way to start your managerial career in Ireland. Serie A brings so much nostalgia that picking just one team was so difficult. Fiorentina, Sampdoria and Torino all narrowly missed out, but it had to be Parma. The 1999 UEFA Cup winners, who then boasted Gianluigi Buffon, Lilian Thuram, Fabio Cannavaro, Juan Sebastian Veron and Hernan Crespo, went bust in 2015, but their phoenix club are already back in the top flight. You would have the lowest budget in the league and all your best players are only on loan, meaning that this nostalgic challenge would really test your Career Mode ability. Fortunately, Career Mode won’t factor in that Brescia are now owned by Massimo Cellino, so your job should at least be safe for a little while. Their golden years with an ageing yet mercurial Roberto Baggio are long gone, but you would at least be given 18-year-old midfielder Sandro Tonali, whose potential is a huge 88. Emanuele Ndoj, Nikolas Spalek and Mattia Viviani are three more young talents to build around, whilst Alfredo Donnarumma presents you with a top striker to fire out out of Serie B at the first attempt. 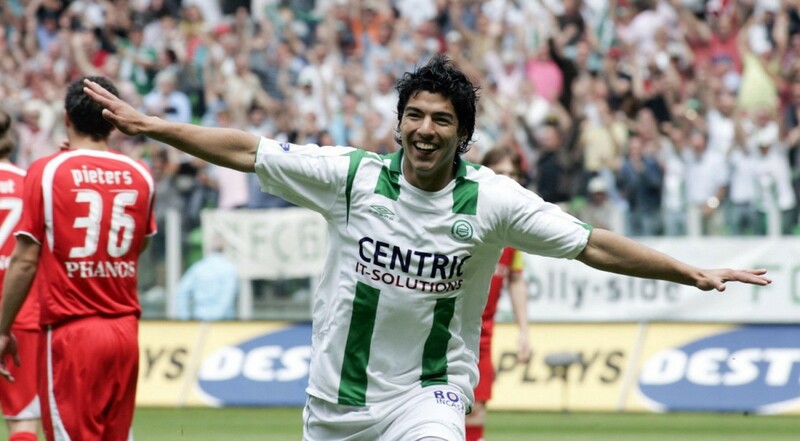 Some of the players to have passed through Groningen are remarkable. Virgil van Dijk, Ronald Koeman, Arjen Robben, Dusan Tadic and Luis Suarez have all featured for the Dutch side, yet they have never even won the Eredivisie once. Build around Japanese starlet Ritsu Doan and attempt to finally give those Groningen fans a league title to celebrate — possibly whilst bringing a player like Van Dijk or Suarez back to the club if you can. Whilst Rosenborg dominate Norwegian football with 25 titles to their name, Lillestrom sit fourth with just five, and haven’t won the Tippeligaen since 1989. Ending their drought and giving Rosenborg a legitimate rival in Norwegian football would be the aim here, whilst have a star midfielder with good potential in Ifeanyi Mathew, a personal favourite on FIFA 18. The rest of the squad isn’t so great, and you would even have to rely on 40-year-old Frode Kippe at the back. Yes, the same Frode Kippe that turned out for Liverpool. Call them Poland’s answer to Liverpool if you like, but Gornik Zabrze were once the dominant force in Polish football. With 14 league titles between 1957 and 1988, Gornik racked up title after title, but are now level with Wisla Krakow on 14, whilst Legia Warsaw are coming up behind on 13 and in danger of overtaking Gornik, just like Manchester United did to Liverpool. Re-assert their dominance with a host of promising young players like Tomasz Loska, Kacper Michalski, Adrian Gryszkiewicz and Szymon Zurkowski, whilst you can even have a crack at bringing Napoli hitman Arkadiusz Milik back to the club if you secure the funds to do so. A newly promoted side whose best ever finish in Portuguese football was 14th in the top flight back in 2002, Santa Clara are a relative minnow but did have a brief Intertoto Cup run in the 2002–03 season. Now back in the top flight after a 15-year absence, Santa Clara do have some building blocks; ex-Rangers defender Fabio Cardoso, left back Joao Lucas and playmaker Bruno Lamas have some potential, whilst there’s a proven striker in Thiago Santana leading the line. With next to no budget to speak of, your first target should be to finish above rivals Nacional — but then go and try to become just the sixth team to win the title in the coming years. One of the most appealing teams to play Career Mode as this year is Rangers, with the challenge of stopping Celtic from winning 10 titles in a row enticing enough. There are some great pieces in place though, as Nikola Katic, Alfredo Morelos and Glenn Middleton become absolute stars later in the game, whilst you can continue to build around James Tavernier, Connor Goldson, Ryan Jack and Ross McCrorie for years to come. There are some ageing stars that will need to be replaced quickly though, with Allan McGregor, Gareth McAuley and Kyle Lafferty the wrong side of 30, but making the Gers the leading force in Scottish football with a healthy budget of around £5million should be an attractive challenge. Under Quique Setien, Betis enjoyed a superb season last term, and look to be hugely ambitious in the transfer market. Pau Lopez, Marc Bartra, William Carvalho, Andres Guardado, Takashi Inui and Cristian Tello have all joined the club since the end of the 2016–17 season, and present instant quality should you pick the Andalusians, whilst Aissa Mandi, Junior Firpo, Tonny Sanabria, Loren Moron and Robert have considerable potential, giving you the chance to grow Betis into a major force in La Liga. Bitter rivals Sevilla have hogged the limelight in recent years with European success, but now may be Betis’s time, and they represent one of the more exciting Spanish teams to play as in FIFA 19. I’ll admit that part of this is because of good friend @ManuRomeroGraps, but Tenerife do have legitimate claim to being a great lower league team to start a Career Mode as. Luis Perez, Jorge Saenz, Alberto, Luis Milla, Naranjo, Bryan Acosta, Borja Llarena Undabarrena and Javi Alonso all have decent potential, whilst former darling striker Nano is back with the club. Attempt to return to La Liga, a division they have only played in twice since the turn of the millennium, and even plot a return to Europe for the first time since the 1996–97 season could make returns for Gaku Shibasaki and Ayoze Perez more than just a pipedream. A two-time UEFA Cup winner and 18-time Swedish champions, Goteborg have a rich history, but fans haven’t had much to shout about in recent years. With one league title since 1996, Malmo have eclipsed them as Sweden’s most decorated club, and a 10th-place finish last season has them mired in mediocrity. With no star players to speak of and no players with anything resembling considerable potential, Goteborg need a rebuild if you are to add to their list of Swedish titles — or even their UEFA Cup win record. Just like Parma, Neuchatel Xamax were forced to fold in 2012, and just like Parma, they’re now back in the top flight. After merging with FC Serrieres, Neuchatel are back, and will be hoping to get back to the heights of the 1980’s, when they won two league titles and became a UEFA Cup regular. Building Neuchatel back up to eventually rival Basel would be a remarkable feat, but get ready for some hardship; defender Arbenit Xhemajli is the only youngster with any half-decent potential, and your best player — striker Raphael Nuzzolo — is 34 and creeping towards retirement. You will have former Football Manager legend Charles-Andre Doudin at your disposal, but that’s about as good as it gets for a club with a £1.5million starting budget. Get preparing those bargain pre-contract offers in January. I’ll be honest, it’s only through conducting research for this piece that I even found out about the existence of Eruzumspor. Much like pretty much every team in Turkish football, they an odd name for a bygone era of the Premier League; it’s ex-Arsenal forward Gilles Sunu in this case. 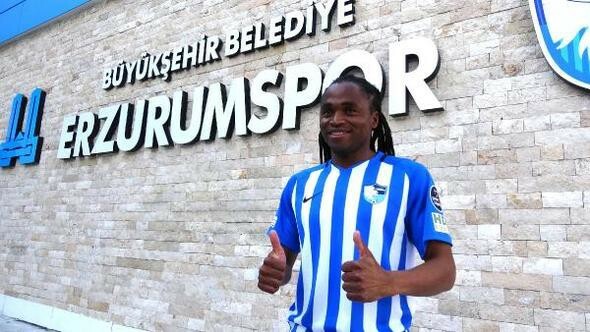 But the big attraction comes in new signing Siphiwe Tshabalala, who famously scored the opening goal of the 2010 World Cup with a stunning strike for South Africa against Mexico. Erzurumspor were just five years old when that goal hit the back of the net, but they appear to have ambitious plans — and you can make them reality-adjacent in FIFA 19. With Champions League licensing pushed heavily in FIFA 19, it’s hard to see many wanting to start off Career Mode in Argentina, but we’re catering for all tastes here. Independiente are hugely decorated, winning 16 titles in their history, but bizarrely just the 2002 Apertura since the millennium. It’s been something of a drought for the Avellaneda club, but they look appealing in FIFA 19 if you want to challenge Buenos Aires giants Boca Juniors and River Plate. Proven quality in Martin Campana, Pablo Hernandez, Maximiliano Meza and Silvio Romero made Independiente an instant threat, whilst defenders Fabricio Bustos, Alan Franco and Jorge Figal have major potential. A £9million budget isn’t too shabby either, and bringing them back to former glories can make you a hero in Argentina. Starting any Career Mode in Brazil has been effectively nerfed by the lack of any real players in the entire division, but again, we have to cover all bases. Gremio may be one of Brazil’s most famous clubs, having been in existence for 115 years, but they’ve only won two league titles and none have come in the 2000’s. Bring some joy to this Porto Alegre club if you really want to play in the license-less division, but please sell all those fake players and bring in a raft of real Brazilian talent; possibly bringing back some former Gremio stars in Alex Telles, Wendell, Fernando, Guiliano, Willian Jose, Mario Fernandes, Walace and Pedro Rocha. Also, their kit is lovely. Every year. Whilst Colo Colo and Universidad de Chile dominate Chilean football, boasting 50 league titles between them, it’s hard to ignore Palestino. 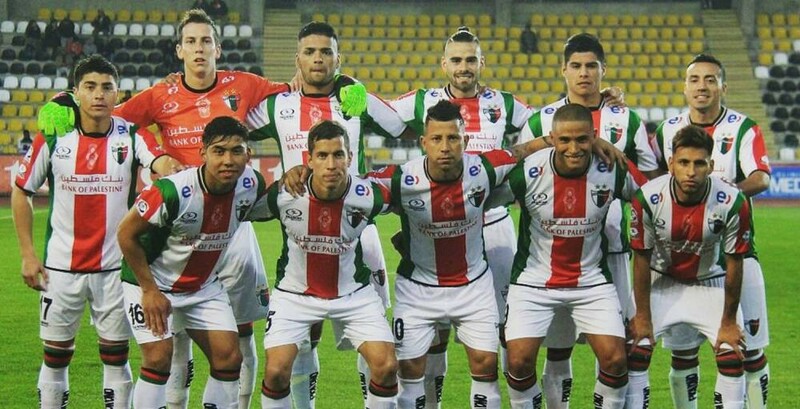 Established almost 100 years ago by Palestinian immigrants, Palestino have two league titles to their name, the last of which came back in 1978. They aren’t particularly good, have no major title aspirations and no considerable budget to speak of, but this is what a challenge is all about isn’t it? Attempt to do Chile’s Palestinian community proud by not only becoming the dominant force domestically, but also in South America. Atletico Bucaramanga have spent 59 of their 69 years in the top flight of Colombian football, and yet they have never won the title, and have even only been runners-up once, way back in 1997. It’s time to end the long, long, long wait for a league title with ‘The Leopards’, whilst you will immediately start with a Football Manager legend. He may only be on loan, but Sherman Cardenas will be at your disposal, providing goals and 2007 nostalgia in equal measure. The badge. The kit. Sensational every single year. There’s no great story behind this selection, it’s just one of the most aesthetically pleasing selections in the game. I’m not well-versed in managing in Mexico on any iteration of FIFA, but U.N.A.M do have some useful players, such as Juan Iturbe, Martin Rodriguez and Arribas, and silverware won’t look much better than being held aloft in those ever-beautiful shirts. The longest MLS Cup final drought currently belongs to Chicago Fire, as their last appearance came all the way back in 2003, but they did at least win it all in 1998. Ending that drought would be huge, especially as new expansion teams like Los Angeles FC and Atlanta United dominate the headlines above a long-standing side like the Fire. German legend Bastian Schweinsteiger is in the side, whilst Hungarian forward Nemanja Nikolic is one of the best goal-getters in Major League Soccer, and Aleksandar Katai is a creative wide man. Outside of that, this isn’t a great squad, and you’ll have your work cut out to finally take Chicago Fire to the MLS Cup final again. 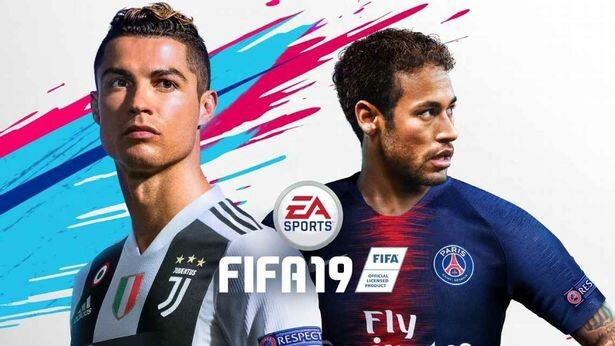 The Chinese Super League is finally in FIFA, and most fans will be looking to try out management in the Far East with all the money available over there. Picking a team won’t be easy, but Shanghai Shenhua stand out for a Juventus-style arc, given that they had their 2003 title — their last title win — rescinded for match-fixing. 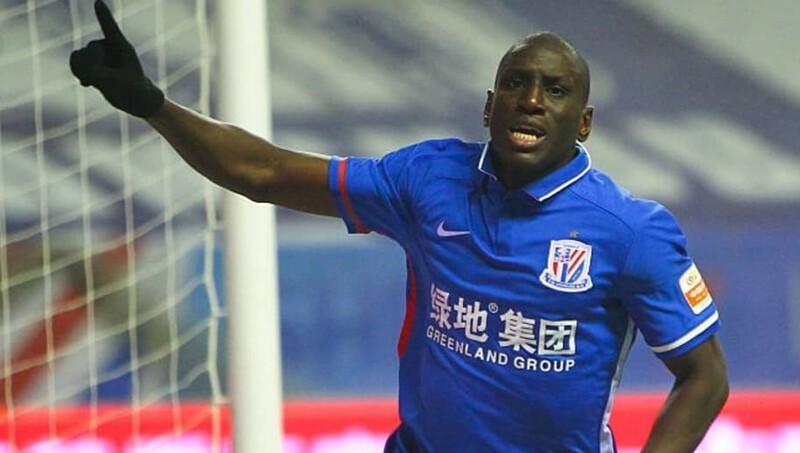 Demba Ba and Fredy Guarin are their most notable players these days, and a £24million transfer budget is certainly enough to bolster your squad. Yet, if you really want to challenge yourself over in China, impose the rule of only three foreign players being allowed in a matchday team, forcing you to either spend your money on the limited number of decent Chinese players, or invest heavily in the youth academy rather than only signing big names. Last season’s bridesmaid with a second-place finish, Kashima Antlers are tied with the most J-League titles to their name with eight, alongside Sanfreece Hiroshima. One more will put them ahead, having drawn level in 2016, and they came so close to that goal last season, losing out to Kawasaki Frontale on goal difference. Kashima have a number of promising players in Jung Seung-hyun, Gen Shoji, Kento Misao, Hiroki Abe, Yuma Suzuki and Serginho, giving you the platform to not only challenge immediately, but also turn Kashima Antlers into a J-League dynasty. Ulsan may have two league titles to their name, but they’re also regular bridesmaids in the K-League having been runners-up a record seven times, including four times in the 2000’s. Getting over those disappointments to become a powerhouse will be the goal, and you immediately have one of the league’s best players at your disposal in winger Kim Seung-joon. Younger talents Lee Yeong-jae, Han Seung-gyu, Oh Se-hun and Kim Geon-ung have decent potential for the K-League and can become first-team regulars, with Ulsan possessing the potential to overcome their failed title pursuits and be the ones winning titles instead of narrowly missing out on them. Only Al-Hilal have won more Saudi Professional League titles than Al-Nassr, and few clubs have been quite as impressive in the transfer market of late. Petros, Ahmed Musa, Giuliano, Nordin Amrabat and Abderrazak Hamdallah all arrived this summer, giving Al-Nassr major quality, especially on FIFA. Saudi veterans Omar Hawsawi and Mohammed Al Sahlawi are mainstays of the Al-Nassr side, and bringing it all together for a ninth league title would be ideal — though some planning for the future would be necessary too, as Al-Nassr are certainly in ‘win now’ mode. For a team named ‘Glory’, there hasn’t been much of it for Perth fans. They haven’t won the regular season, or even been runners-up, and they haven’t won the Finals series…or been runners-up in that either. 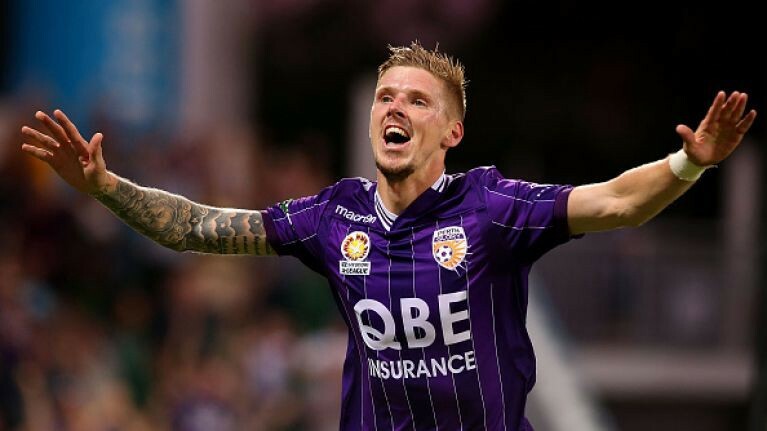 Take over the Glory in order to finally bring some silverware to the club, and you will start with some recognisable names from the Football League in Shane Lowry, Jason Davidson, Neil Kilkenny and Andy Keogh, as well as talented young Australians Brandon Wilson, Christopher Ikonomidis and Jacob Italiano. The pieces are there, you just have to put it all together and finally make this club live up to its name.